Failure to recognize that the new incarnation is intended to provide different experience for all ensures failure for all. It is indeed the lesson plan that interferes with the individual’s desire to be of service, for this desire is inherent, embedded within each new creation where it is indeed a part of the Creator that can never be eliminated, regardless of the darkness experienced in each lifetime. The desire to serve lies within every creation upon the Earth, every creation throughout the universe - every creation throughout creation. Awakening to the self’s desire to serve is the goal of the Creator for each new incarnation. There are few that are willing to follow the path outlined by the Creator, the experience that is needed most to aid all creations, for each individual has been afforded with choice and free will, the thinking mind, an open heart filled with desire to experience, to experience that which was most enjoyed in previous incarnations, that which was most successful in previous incarnations. It, of course, is experience - that may vary, that may be a repetition of a previous life experience – one that is unneeded by the Creator. It is important for each individual present to recognize the challenge that is being presented to the self each time the self is asked to be different, to experience differently, to discard all that which is known, all that which has been gathered to the self in the first few decades of the lifetime; for it is the tendency of the individual to seek that which has been experienced in previous lifetimes and to avoid that which was avoided in previous lifetimes. Sol: Are you saying that that which was avoided in previous lifetimes needs to be explored in the current lifetime? That which has been avoided in previous lifetimes has implanted aversion within the new self. This aversion could be representing the fact that the self has learned the lesson that is being provided with certain activities or it could mean that the individual has determined that discomfort is present, indicating that the challenge is too great – one that the self would prefer not to take upon the self, not to accept from the Teacher. Do you understand? Sol: Yes. I believe I do. Thank you. It is to recognize that the Creator of each individual has imprinted upon the heart of each new creation that which is most desired to be experienced in the current lifetime. It is the early life experience, it is the lesson plan that interferes with the individual’s ability to step forth and to claim that mission, that which will fuel all creations, for all share that which has been learned and that which has been failed in the afterlife. Loereve: Seems like it could go a lot easier if we really knew what our Creator wanted us to learn in this lifetime. It is to recognize the drawing of the self to certain activities my brother, to recognize that the time passes rapidly whenever the self is engaged in that which is most desired by the self’s Creator. The passion is fueled with energies that fan the flames that enable the self to access whatever is needed in order to accomplish that which is most desired by the Creator. When the self is involved in selfish activities – that which feeds the self or feeds a singular body - the emotions, the physical body, or the mental body…the accumulation of data - it is then that the Creator is no longer available to the self in a way that would fuel the desire of the self. Do you understand? Loereve: I think so, yes. Thank you. It is the failure of the self to recognize the activities that dampen the connection to the Creator. These activities are: mindless entertainment; the reading of fantasy or books that do not inform but rather, nurture the imagination, fuel the self’s desire to be outside of the self rather than firmly rooting the consciousness within the self; sports - the viewing of sport, the participation within sport beyond that which is necessary to exercise the physical body or to nurture camaraderie and relationship; travel, simply to experience the food, the luxury hotel, the beach. These activities do not nurture the connection with the Creator of the self. The expenditure of time for each creation, when tallied at the end of the lifetime, never fails to shock, to surprise the consciousness. Do all understand the topic – that which has been provided to answer the questions that were made known to me prior to this session? Student: This idea of each of us having a different Creator and then each Creator having more than one creation – is that correct? Student: And that those creations never meet, or rarely meet? Are they on the same plane? Student: So that, my Creator for example might have 50 or a 100 or a 100,000 creations upon this earth at this time? It is rather limited in number; the number is inconsequential to you but suffice it to say, it is extraordinary. As stated previously, it is possible that two creations from the same Creator would interact in a single lifetime; however, this is quite rare. Student: I find the whole concept fascinating. And they all communicate with the same Creator who is looking to accomplish this set of experiences that’s been there since the beginning? Student: Well, thank you. Amazing. Sol: Is there a Creator of all of the Creators? It is referred to by a number of different labels. Are there further questions regarding this topic? Student: Do our Creators all know each other? Like…the four of us in this room? It is difficult to explain the interaction of what is known as the Monads of each individual upon the Earth. 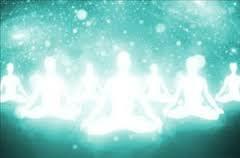 Suffice it to say that it is energetic readings that provides understanding when each Creator is counseling, guiding the Higher Self so that each individual can be brought to the experience that is needed. Do you understand? Student: I do. Thank you. Sol: I have a question that stems off of that one. It’s a two-part question. The first part is: this is taking the four of us for example…was there a preincarnative agreement that the four of us as new creations would eventually meet and interact with one another? When one views life experience from the perspective provided in the preceding teaching, it could be embraced that all creations have preincarnative agreement.